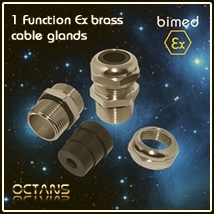 The BIMED, ATEX Cable glands are intended for universal use covering all explsion protective techniques Ex-e Ex-d Ex-tb Ex-tc, Ex-n. Suitable for operation in Zone 1, Zone 2, Zone 21, and Zone 22 Areas. 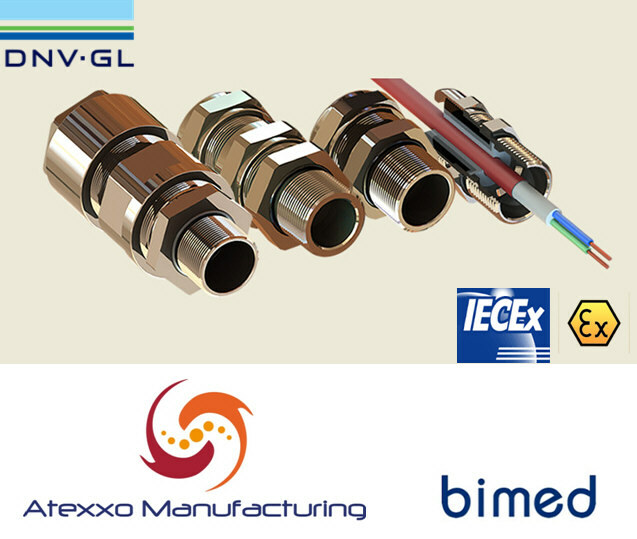 All cable glands and accessoires are unique to the market; triple certified, holding ATEX, IECEx and DNV-GL Marine Approval. Please call or email and our engineers will assist you to select the right gland for your application. Please select below the cable type you intent to use, please choose between armored and non-armored. 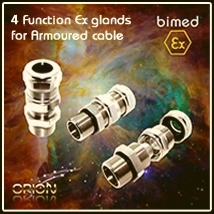 Cable glands are used in ATEX terminal boxes, control units, distribution panels and any other electric equipment that is used in an explosion harardous environment. They are available for different cable types and housing/enclosure materials. The ATEX cable glands can be used indoor and outdoor in Zone 1, Zone 2, Zone 21, and Zone 22 hazardous areas. 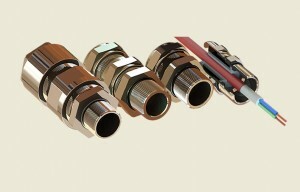 They are intended for use with armored or non-armored cables providing a combined flameproof seal and environmental seal on the cable outer sheath. They are typically installed in metal Ex e enclosures or as safe cable entry for electrical ATEX equipment. Compound glands are available on request these glands are only used for gasgroup IIC applications and large (>2 litre) flameproof housings that are located in zone 1.